Plus iMacs are dotted around for residents to use. 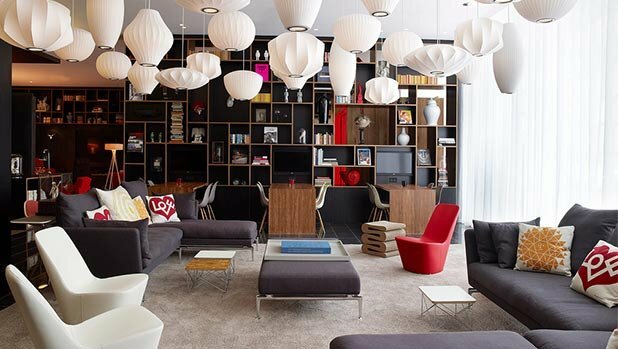 citizenM is a hotel driven by one desire: to create affordable luxury for the people. By ‘the people,’ we mean a smart new breed of international traveller, the type who crosses continents the way others cross streets. This includes the weekenders, the suits, fashion baggers and affair havers. The explorers, adventurers and dreamers. Those who travel the world with big hearts and wide eyes. Those who are independent, yet united by a love of the five continents. Those in search of business, shopping or art. In short, everyone who is a mobile citizen of the world. Most likely, that also means you. citizenM hotels offer all guests self check-in service on touch screen terminals with 24 hour assistance of citizenM ambassadors. the lobby the lobby is designed to function as your living room. No marble fountains. No piano man. Instead, you'll find contemporary living spaces with Vitra furniture, to rest, meet or work. citizenM likes you to feel at home even if your home is 5,000 miles away. WIFI internet is available in all rooms and lobby. You can also use our iMac computers free of charge. What is there to do in the area? 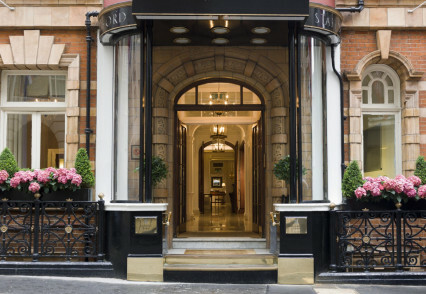 citizenM is located at the Bankside, minutes from the Tate Modern and London Bridge, and within walking distance from Southwark tube station (Jubilee Line). What kind of breakfast do you offer? Instead of a traditional buffet, select any items from our breakfast assortment, or choose the full English breakfast. The English breakfast includes a fresh croissant, orange juice, fresh brewed coffee or tea, muesli yoghurt, scrambled eggs, tomatoes, sausage and bacon. 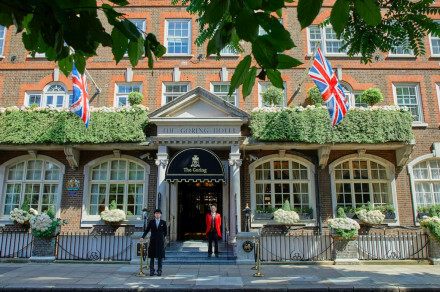 The English Breakfast can be booked in advance together with your accommodations for only ￡11.95 (￡14.95 if purchased on the day). Check the reservations page for details. Do you offer other meals? And can you recommend good places to eat out locally? canteenM is a 24/7 pit stop for hungry citizens. canteenM is a breakfast bar for excellent coffee and pastries. canteenM is a bar with beer on tap, champagne and cocktails on order. canteenM is a lunch or evening diner for sushi, signature sandwiches, warm dishes, and dozens of drinks to quench your thirst. canteenM is at the heart of citizenM and is surrounded by relaxing living, eating and drinking spaces. Which are your most popular room types, and why? citizenM only has 1 room type and it redefines the hotel standard. You will find a wall to wall window, LCD television with free movie channels including blockbusters and classic favourites. An XL king-sized bed, just in case you like to dance in your dreams. We'll keep going: power rain shower, luxury bed and bath linen, global plug system and a full length mirror with theatre lighting. And megalomaniacs will love the innovative touch screen MoodPad. It lets you control the hotel room, including television, window blinds, temperature, coloured lighting, wake-up alarm themes and more for an ambient room experience. "OK. You are now a Citizen." And now a hot new hotel in Bankside, near London Bridge, has been added to the mix. Collections of artwork on display around the lobby "living rooms"